A Savoury Recipe! Not like me at all! So, for those of you who have asked me for a “non-cake” recipe post, here goes! I hated Blue Cheese with a vengeance! It always smelled, to me anyway, (as with Goat’s Cheese) like a musty old wardrobe!! That is, until I took a chance a while back, and tried a Blue Cheese which is made locally. 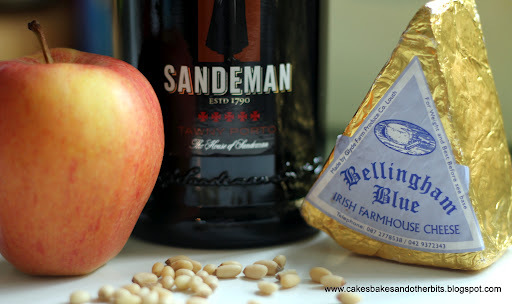 Bellingham Blue, is made in the village of Castlebellingham, Co. Louth, It is a soft Blue, and not “musty” whatsoever. So, rather than just eating it straight, with some biscuits or bread, I found a savoury Feta Tart recipe, adapted that idea and up with this recipe. First, you need to make the pastry. Most pastry recipes contain varying quantities flour, salt, fats (all butter, or half lard/half butter) and water, depending on how much you want to make. The recipe I used here comes from my friend, Margaret, who (along with Alfie) owns and runs OldFarm. This is a “no-fail, works-every-time” recipe which suits savoury or sweet items alike. Margaret’s recipe uses, what I like to call, “White Gold”, or lard. 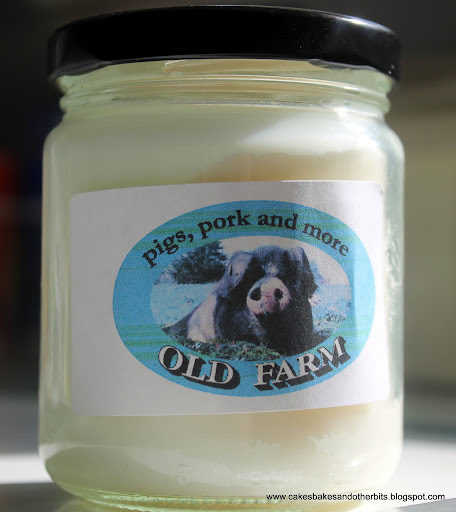 This lard comes from their own pigs, and gives a lovely crispness to pastry. The only addition I made this time was Parmesan, as I felt this would work well (for saltiness) with the Blue Cheese. Using the recipe and instructions from Margaret, after mixing and rubbing in the butter and lard, I divided the dry ingredients equally into two bowls. One half made up and frozen, and the other, which I used for this recipe. To the “savoury” bowl, I added half an ounce of parmesan cheese, which I grated using a Microplane. This gives a large amount of cheese for such a tiny weight! Then, little by little, add the cold water, and bring the dough together into a ball. Wrap in cling film and leave in the fridge, preferably overnight. Grease and flour the tins. Cut a small piece of pastry from the larger ball. Roll out to just larger than the tartlet tin. Place the pastry over the tin, and gently press into place. To cut the overhanging pastry, just roll over with a rolling pin. Using the egg white, kept aside from the egg yolk used in the filling, brush the base of each tartlet, and place back in the fridge for another 30 minutes. (A tip I picked up from Rachel Khoo’s “The Little Paris Kitchen” show). Bake blind (using baking beans and parchment paper) for about 10 – 15 minutes. Remove, and bake for a further 10 minutes to dry out the base. Set aside to cool completely. 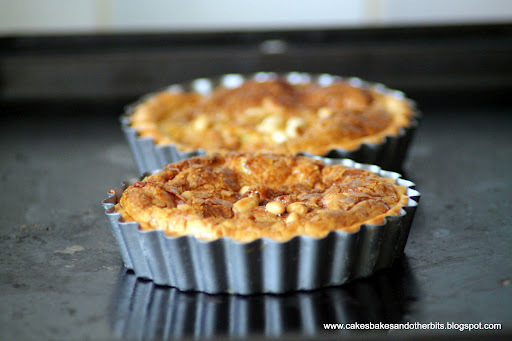 Once cooled, take the cheese and apple and scatter over the base of the tartlets. 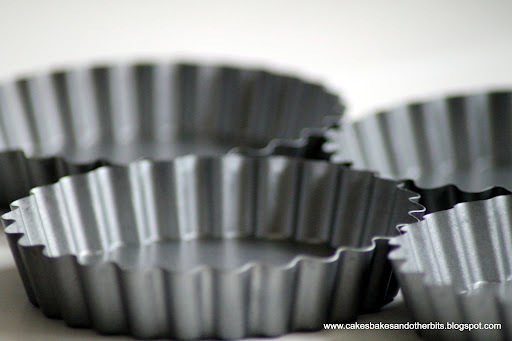 Place the tartlet tins on a baking tray and carefully pour the cream/eggs/port mixture into each one, taking care not to overfill. 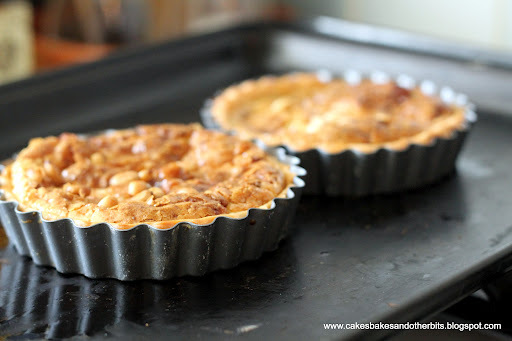 Bake for 20 minutes, and then slowly open the oven, and quickly scatter a few pine nuts over each one. Bake for a further 10 minutes until brown on top. These will puff up in the oven, but, on cooling, will sink back. Thanks, M 🙂 They are tasty, but rich too! My white gold is very precious. Thank you, Anne 🙂 I like to throw a savoury recipe in to the blog, from time to time. Hope your week is going well too. Thanks, Val, still have to overcome my "fear" of Goat's cheese! Hi Collette – don't fear goat's cheese anymore! May I recommend Killeen goat's cheese to you! It's made by Marion Roeleveld near Portumna in Co. Galway. Her cheese has been winning many of the top awards including best goat's cheese at the British Cheese Awards. It tastes very pure and clean without having an overpowering "goaty" taste. She also has flavoured varieties which are also really lovely. Good luck!